Seven AAPS figure skaters competed in the Michigan High School State Championships recently. 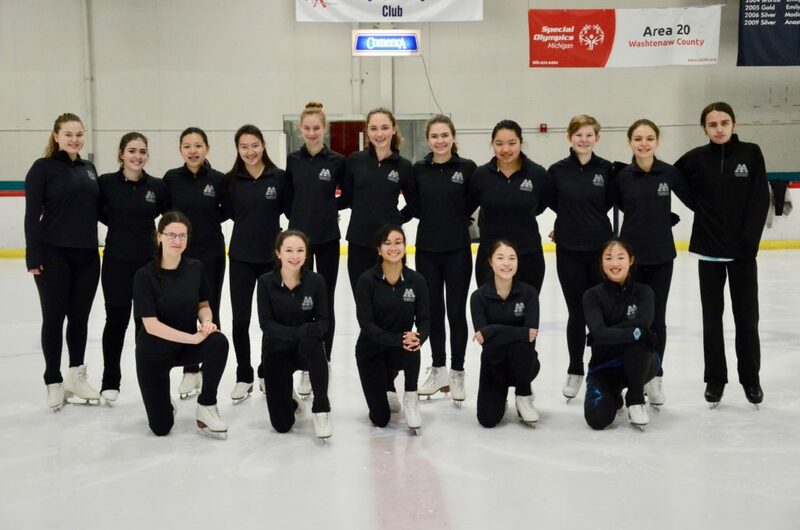 Alexander Meints, Prudence Toschlog- Green, Celeste Knapp, and Sherry Pan are on Team C of the district’s United High School figure skating team and qualified for the event. Their coach, Emily Buckeridge, says she is proud of their accomplishments, and the fact that they came in 7th of the 12 competing teams. “They are all very dedicated to this sport and spend roughly 10 to three hours a week practicing their skills,” said Buckeridge. “They do this before and after school. Overall, all teams had a good season but the C team made it to states and they were able to place 7 out of 12 in the state. Also this is a varsity sport in the Ann Arbor School District. Introduced in 1999, the Michigan High School Skating series offers opportunities for skaters to participate in team sports and to be part of their school’s athletic program. Starting with 10 teams and a single competition in 1999, the 2018 series has 39 teams and 19 competitions.